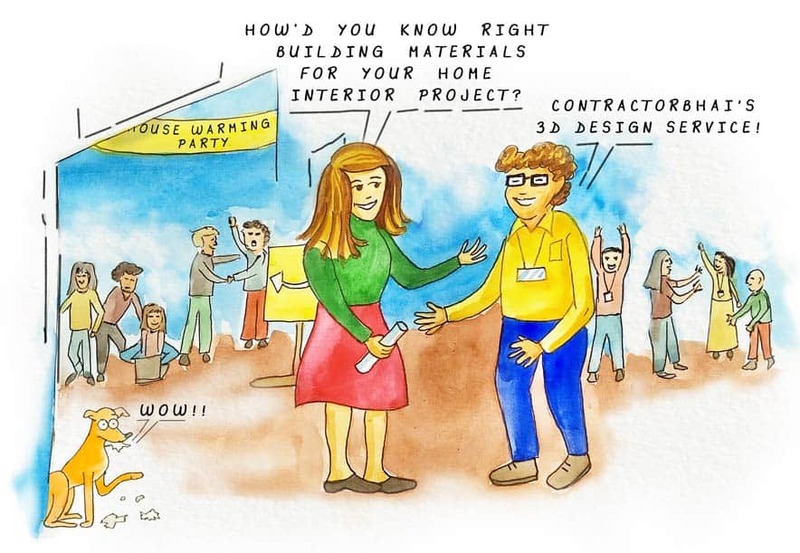 When Home Owners work directly with Contractors or Carpenters, it involves lack of planning & design. We fill this gap. After lot of analysis & struggle we have reached at a point where we know major pain points faced by Home Owners & what can go wrong during renovation. Every Home is unique & so are home owner’s expectation. Successful Home Renovation requires meticulous service providers & well informed Home owner. 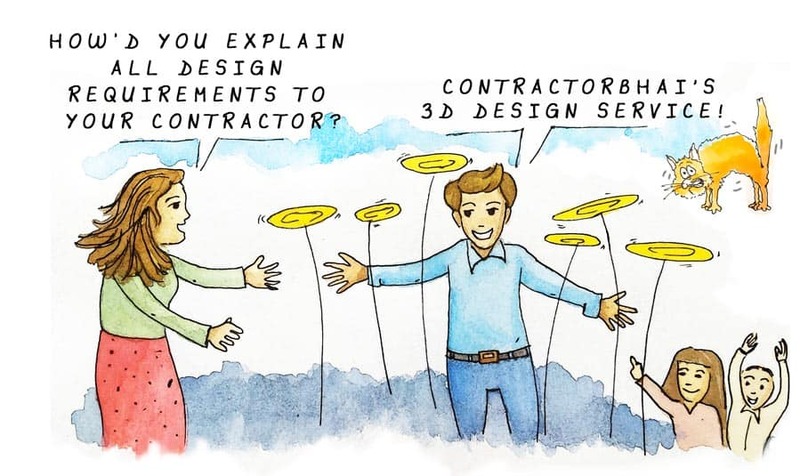 On Contractorbhai.com website you will find lot of information that can help you make well-informed decisions. 1) 3D Interior Design Service – Rs 12/sq. ft.
Great Value & Low Cost. For Home Owners who want to get complete control over their project. In year 2017, if you’re spending Lakhs of Rupees in Renovation without Visualizing Final 3-D, you’re doing it Wrong! Buy EBook for just Rs 299 only. EBook has quick 101 Tips that most Contractors won’t tell You. High quality Plywood at Reasonable Price. Commercial (MR GRADE) Ply & Waterproof (Marine) Ply. 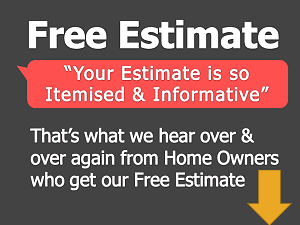 Download Itemised Estimate Template. Use our Excel template to keep tabs on your Home interior Project. Here you will find Checklists for each room that ensure all your Home Renovation work runs smoothly and most importantly within your budget. Not only that, there’s more on Products too. There are 600+ articles & new topics are getting added every week. Building materials, renovation process, design ideas & more. This is the best part of the website. We have made page on work item ( like flooring), materials ( like granite ) & few popular brands ( like Jaquar bathroom fittings). This is a 4 Part Video series on ‘1 BHK Home Interior Design’ . In about 10 minutes of watching these videos, learn more about Planning your interior design project than surfing internet for hours. This is the best page created for home owners benefit. On this page you can explore on various tricks that are easy, inexpensive ways to make you home interiors look modern. If you have ANY questions email me at info@contractorbhai.com. I read each email, print it out, frame it, and display it in my exquisite gallery of fine art. Oh, and I also reply quickly.